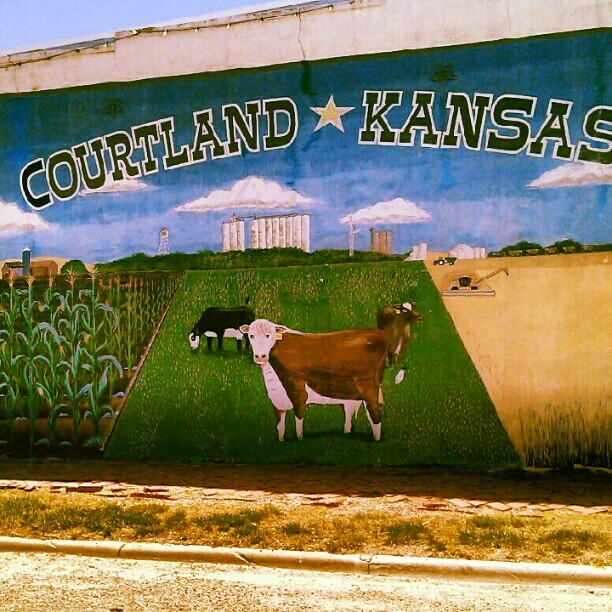 Courtland, Kansas is located one mile south of US Highway 36 via Highway 199. Courtland is an active community that takes pride in maintaining its small town lifestyle. Cou rtland’s supportive business district includes a restored Courtland Arts Center and coffee shop. Its rich agriculture heritage is evident with the citizen’s strong work ethic. Community members renovate downtown buildings and organize events under Courtland Pride Club that is part of the Kansas PRIDE designation. Join them for the annual Courtland Fun Day the last weekend in July every year. Visit the “world famous” Pinky’s Bar and Grill for a award winning chicken fried steak, anytime or the Depot Market for home grown produce in the spring/summer/and fall months.